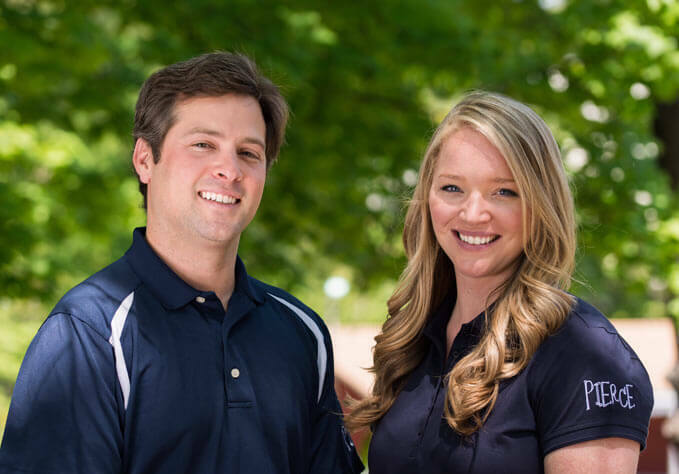 Cousins Will Pierce and Courtney Pierce Philippou grew up on the Pierce Country Day Camp property. 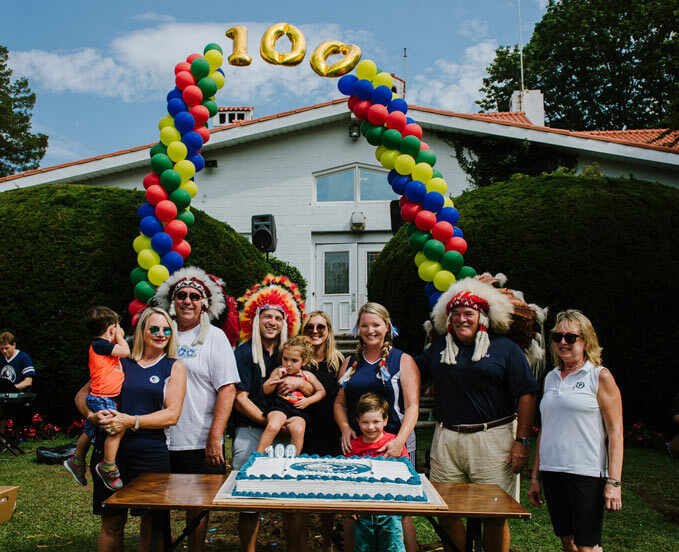 They lived there, they went to camp there, and now they’re back as fourth-generation owners and directors of the 100-year-old summer camp in Roslyn. 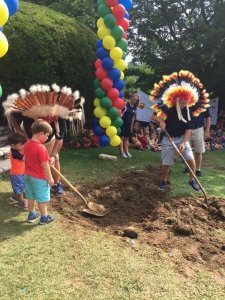 Founded by their great-grandfather Forrester “Pop” Pierce in Deal, New Jersey, in 1918, America’s first day camp has remained in the family ever since, Pierce said. 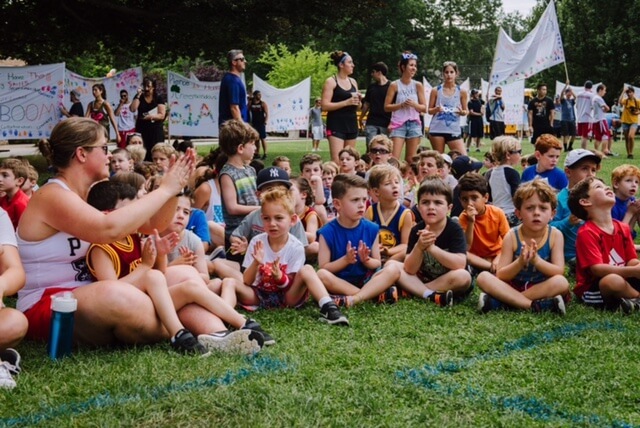 The camp boasts one of the largest aquatic centers in Nassau County with seven pools divided by age group, including an Olympic-sized indoor pool that ranges from 3 feet to 12 feet deep for all ages of campers to use on the rare rainy day, Philippou said. “We like to say it never rains at Pierce,” Philippou joked. The 27-acre property is filled with activity stations, multiple sports fields, a splash ground and a three-person zip line race over the pond for the 3- to 13-year-old campers, all revolving around the former Villa Marina mansion in the center. The preschool, founded in the 1950s by Pierce’s grandfather, runs from September through June, but during the summer, it’s all about camp. And camp is all about traditions. Philippou said the generations of campers who became counselors and are now parents come back with their children for “pow wows” where one of the camp’s most remembered tradition is the hallmark of the night: the hoop of fire. “It was started by my great grandfather, my grandfather then took it over, my father did it for 40 years, and for the last five years, Will has been doing it,” Philippou said. After singing and dancing and making “magic rock candy,” Philippou said her cousin climbs to the top of a totem pole while staff on the ground lights a gasoline-filled hoop. As the campers, counselors and parents cheer, Pierce cannonballs through the hoop into the pool, providing for quite the spectacle. Pierce moved back to Long Island five years ago after working in commercial real estate in Los Angeles after he got married and realized he wanted his children to have the same camp-filled experiences he did as a kid. As director, Pierce now spends much of his time on the business side of the camp, but he always schedules time to be outside, away from his desk and immersed in the camp life. “The best part of my day is always when I get out of the office, which I religiously do both in the morning and in the afternoon, to interact with my campers,” Pierce said. “I stop by the groups, see how they’re doing, see what excites them and really get to know them better. Having a business stay within one family for a century is a feat in itself, and Pierce and Philippou both said they have a special kind of family to make living and working and even vacationing together work. Philippou has three sons of her own and Pierce has one daughter with a baby on the way, and Pierce said they plan to keep the business in the family for the next 100 years. 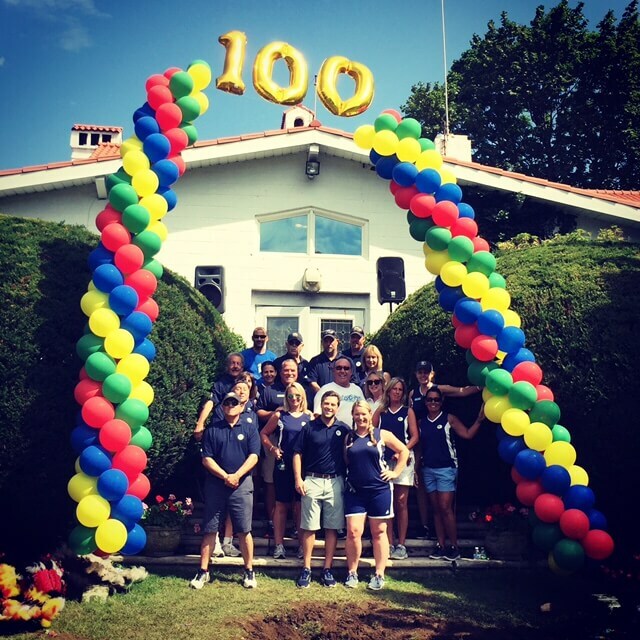 Happy 100th Birthday Pierce Day Camp! The plane was part of the family-owned camp’s celebration of its 100th summer — other activities included camp directors riding on a golf cart while shooting confetti; unearthing a time capsule buried 20 summers ago and replanting it with new items to be opened 25 summers from now; presenting an enormous 100th birthday cake; and singing tunes celebrating the camp and its milestone. Inside the capsule, among other items, was an enormous banner that had been signed with messages from campers at Pierce 20 summers ago. Marie Pierce, 63, one of the camp directors, said she couldn’t believe the moment had finally come to open the capsule and mark the occasion. “It just seemed so far away and such a milestone. Here we are today. We’re passing the baton on to the fourth generation,” she said, referring to her daughter Courtney and nephew Will taking over the running of the camp that was founded by their great-grandfather, Forrester “Pop” Pierce, in 1918. The next time a capsule is opened at Pierce, Marie Piercewill be 88 and a fifth generation of Pierces may be running things. 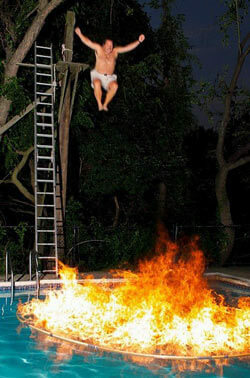 “I can’t believe that in 25 years my grandchildren will be in their 30s,” she said. 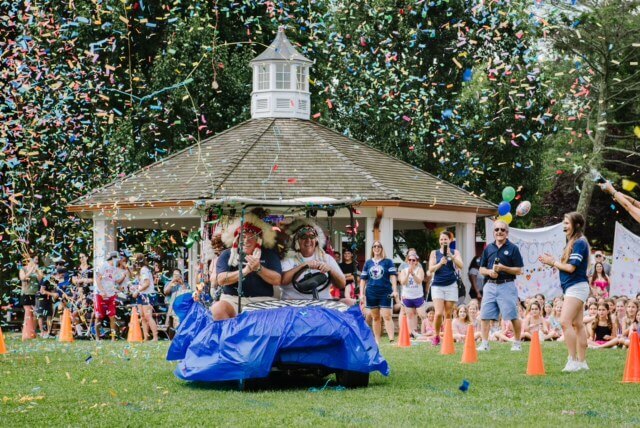 The time capsule and the airplane were the biggest hits for campers Alivia Saunders, 9, of Port Washington, and Victoria Zargari, 9, of Great Neck. “It was unexpected,” Alivia said of the plane. “It was really, really fun,” Alivia said. “All my friends were here, and we had confetti and a cake.